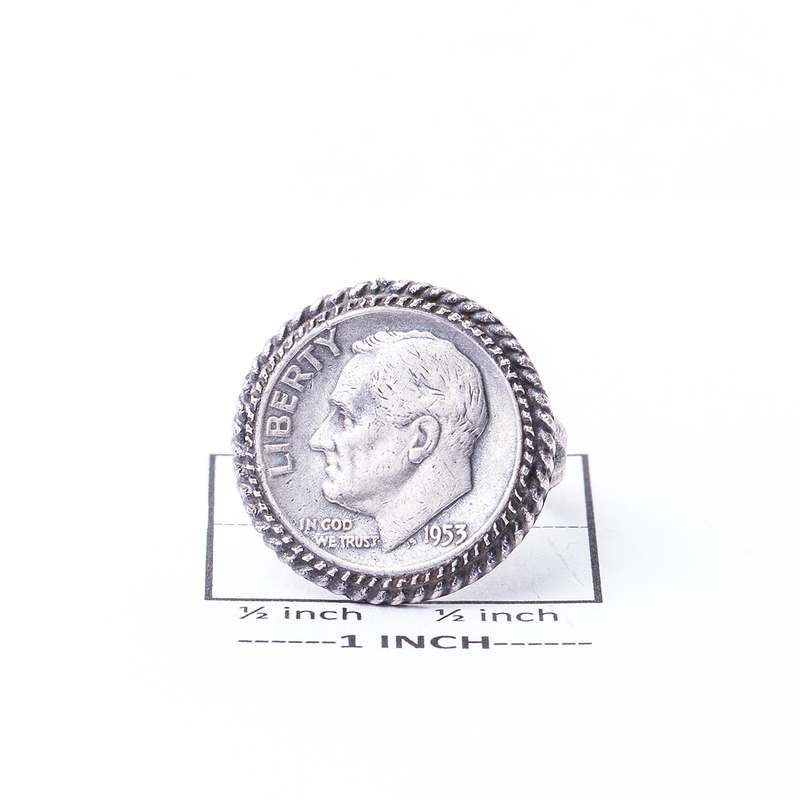 Navajo silversmith Art Acoya makes history stylish in this unique Sterling Silver ring. Perfect to wear every day to show off your national pride. The centerpiece is a dime from the year 1953. 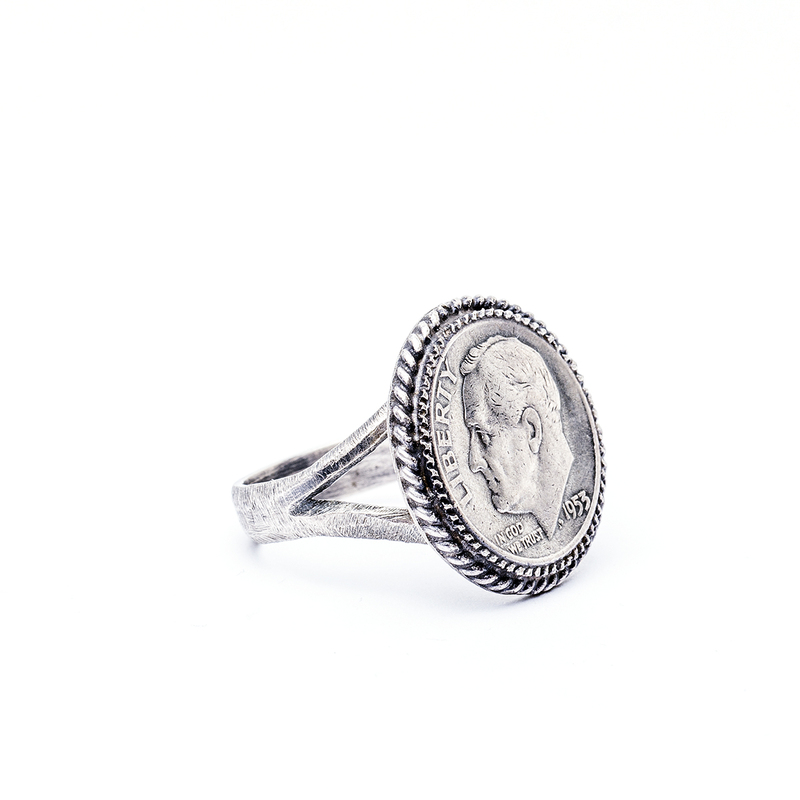 We can size this ring to fit any finger. 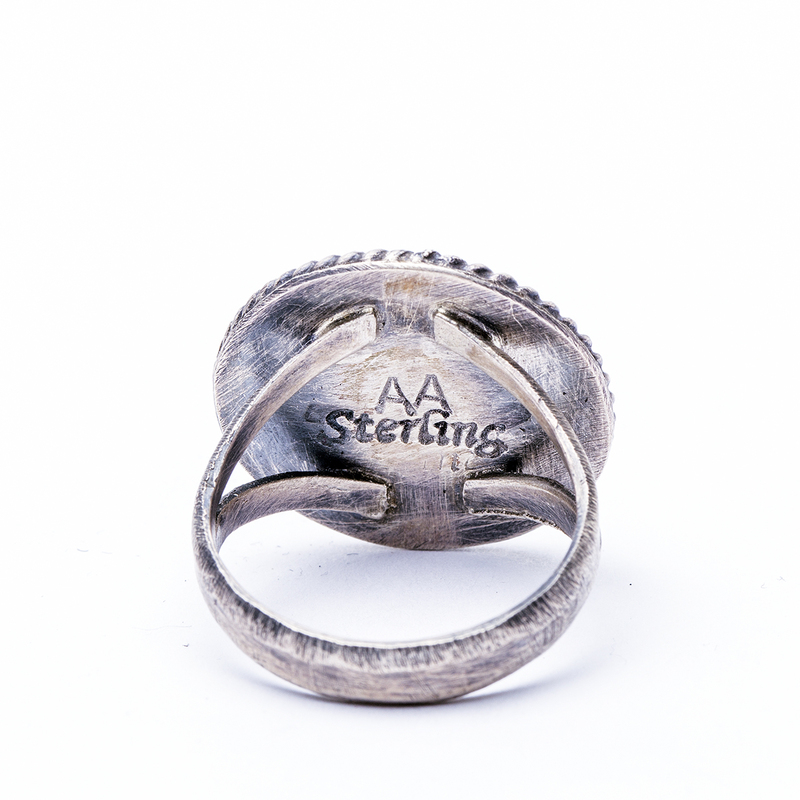 This ring is hallmarked “AA” and “Sterling”. We offer complimentary gift. Just ask! 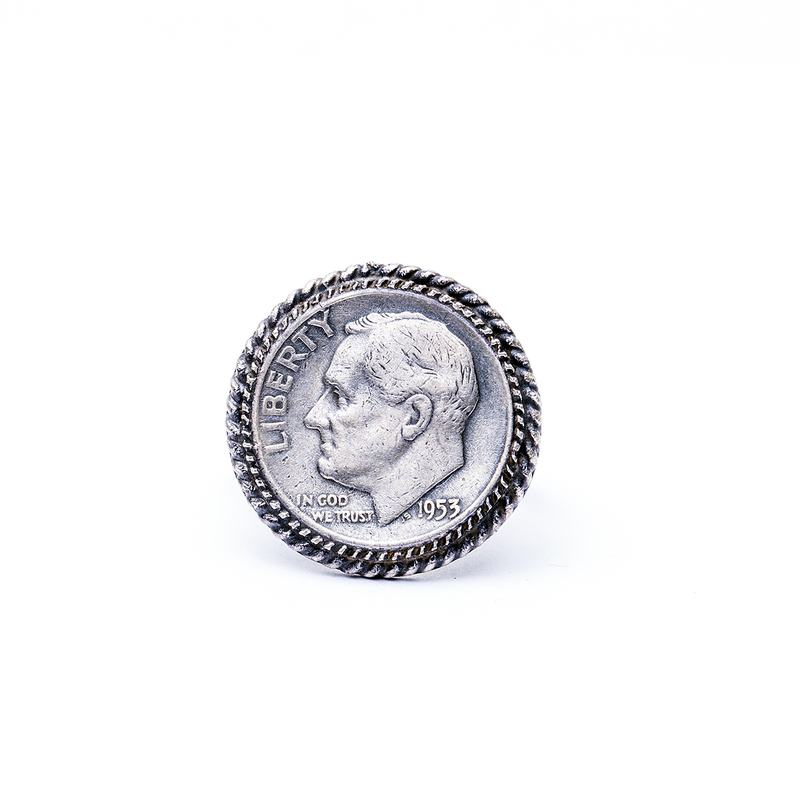 Navajo Art Acoya Vintage Dime Ring shows a glimpse back in time with this stylish Sterling Silver ring featuring a vintage dime as its centerpiece.